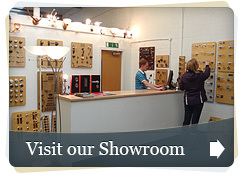 Cheshire Hardware deal with Architects, Designers and construction trade directly. The prices shown on this website are retail prices including VAT. Please contact us directly for bulk quantity discounts, credit account applications and specialist trade products. All technical staff are fully qualified by the Guild of Architectural Ironmongers and we assure you of the best products, service, technical knowledge and value. Exclusive suppliers of Rednaus and Philip Watts Design door hardware producs as well as every open market product available across the UK and Europe. We offer an ACCURATE TRIPLE-CHECKED door set packing service if required. We have provided schedules for Architects and designers to suit specialist schemes like Blackpool Winter Gardens, T45 Warships, Blackpool Rovers Football Stadium, Chester Racecourse, Peckforton Castle, Greys Antique Market, Holcombe Moor Barracks, Dalton Barracks, Leighton Hospital, Hope Hospital, The Quadrant Shopping Centre, Ashton Gardens Institute, Plas Coch Leisure Facility and many special needs schemes where Specialist Anti Ligature Ironmongery was required. All this along with a vast amount of experience in the Education, Commercial, Healthcare, Homes and Defense sectors makes us probably the best architectural ironmongery specification centre in the North West..
Click HOME to start searching our huge database of door and window hardware. or contact us directly the old fashioned way!